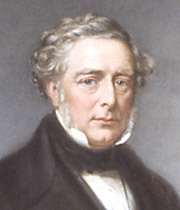 Robert Stephenson, who was born two hundred years ago, is chiefly remembered for his role in the birth of the railways. His refinements to the steam engine made steam locomotion a viable form of transport, which he demonstrated in 1829 with his famous prototype, the Rocket. With Isambard Kingdom Brunel and Joseph Locke, he oversaw the development of a network of railway lines that covered the nation, allowing goods and people to travel as had never been possible. The social and economic impact of this work amounted to nothing less than a revolution. But Stephenson's role in the history of structural engineering is no less important. In the course of building railway lines, he set new standards for experimentation with materials that are now seen as early steps in the science of structures. The result  his Britannia railway bridge  pioneered a technique for building iron bridges that was not bettered as long as cast iron continued to be used.